Parrot Bebop 2 Power Review | Could it be better than DJI Mavic Pro 2 ? We have to agree on one thing – Parrot is among the industry-leading drone brands at the moment. Even though we’ve just come out of a hectic period in which lots of newcomers wanted to take their share of the market, it’s safe to say that Parrot has managed to keep its place. Now, apparently, they’re trying to further establish themselves among the best. 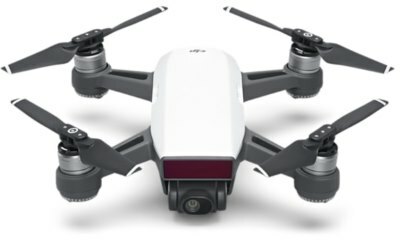 Just a couple of hours ago a brand new drone appeared on Parrot official website. It was none other than the expected upgrade for Parrot Bebop 2. It goes by the name Parrot Bebop 2 Power and that’s because, quite frankly, it unleashes lots of power from a tiny body. But, before jumping to the actual Parrot Bebop 2 Power review, first we’ll take a closer look at its manufacturer, the ever so popular Parrot! Parrot SA was founded way back in 1994 by Christine/M De Tourvel, Henri Seydoux and Jean-Pierre Talvard. It is a French-based company which manufactures all sorts of wireless devices. From drones and speakerphones to car navigation systems and smart garden pots. Parrot does it all! There are several subsidiaries Parrot SA but the one in the spotlight is surely Parrot Drones which was formed in 2015. Later that year, they've released Bebop 2 which shook the industry with its exceptional performance and smart flying capabilities. But, some users wanted more and, rightly speaking, Parrot is giving them just that with the Power upgrade! After a massive success with the original Bebop, the hard-working folk at Parrot were quick to release Bebop 2 which did even better than its predecessor. Will that be the case with the Power upgrade as well, which is basically the third installment in Bebop series? Well, I guess we'll have to take a closer look and see for ourselves! Whopping 1 hour of flight time!!! But, that’s sort of a marketing gimmick. If Parrot Bebop 2 Power had an hour of continuous flying, it would be the longest flying drone currently available on the market (taking the mainstream models available to the public in this equation )… and by far! However, that’s not the real truth and Parrot discloses that on their official website in a clear manner – 1 hour of flight time can be achieved with the 2 provided batteries, each of which has approximately 30 minutes of duration. So Parrot isn’t exactly lying to you when they say Bebop 2 Power has 1 hour of flight time… they’re just skewing the truth in their favor. Very smart move from Parrot, if I may add. We have to admit Parrot Bebop 1 and 2 weren’t exactly fast drones. The latter could fly relatively fast, but the Power upgrade takes things to a whole another level. You see, with the addition of Sports mode, Parrot Bebop 2 Power can fly as fast as 65km/h (40mph) which is bound to impress you guys. Not only that – this birdie gets much better in terms of pitch and jaw roll angles which make it quite a nimble flyer. Keep in mind though – flying full throttle-pitch forward for too long will most likely lower your overall airtime by a minute or two, so make sure your drone is close enough to be able to return to takeoff location safely. Also, Sports Mode unlocks the full potential of Bebop 2 Power so beginners should stay away from it until they learn how to properly control this beast. Don’t say I didn’t warn you! We all know that the range of original Parrot Bebop 2 without the Skycontroller wasn’t providing a good flying experience. You were limited to a small area and couldn’t do much with your drone. 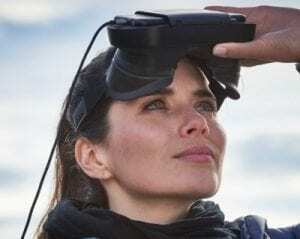 However, Parrot took things to a whole different level by introducing Skycontroller, a physical controlling platform that supports up to 2 kilometers of control distance. In other words – this time you don’t have to pay extra for Skycontroller like was the case with the original Bebop. Nope – Skycontroller comes packed together with the standard version of Parrot Bebop 2 Power. As a matter of fact, the packaging has received a big improvement since, in addition to Skycontroller (2nd generation), you are also getting that extra battery that will double your flight time and Cockpitglasses (also 2nd generation) which will give you an immersive FPV experience. 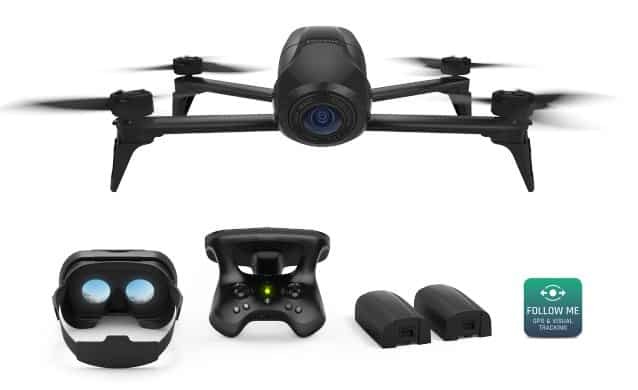 This all comes within the so-called Parrot Bebop 2 Power FPV Pack which is basically the standard edition that has just been officially released. It will set you back for cca $600 which is slightly cheaper than the DJI Spark Fly More Combo which also offers a physical controller. On a side note – near the end of this article you can read a comprehensive comparison between Parrot Bebop 2 Power review and DJI Spark. As far as the camera is concerned, there haven’t been any improvements from the looks of it. Parrot Bebop 2 Power sports custom-made wide angle lens with an advanced anti-distortion system, just like the original. 3-axis digital stabilization is here as well and it does a great job in terms of reducing video shakiness and aliasing. When it comes to the actual imaging sensor, we are talking about a 14MPX 1/2.3” camera that supports 1080p video recording at solid 30 frames per second. Additionally, this camera can also capture aerial photos (who would’ve guessed, eh?) in JPEG and, surprisingly, Adobe DNG RAW format. The latter will be especially useful to professionals who will have an easier time tackling post image production. I almost forgot to mention that this little fella incorporates FPV (and VR) too. It works basically the same way as the original Bebop 2 thanks to the Freeflight App which is available for both Android and iOS devices. 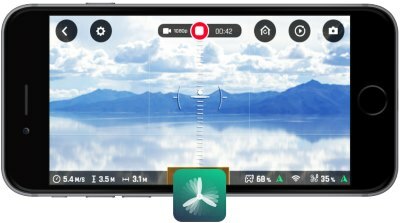 In addition to smooth FPV transmission, this app also lets you in on the drone’s current speed, distance, height, battery percentage and signal strength. 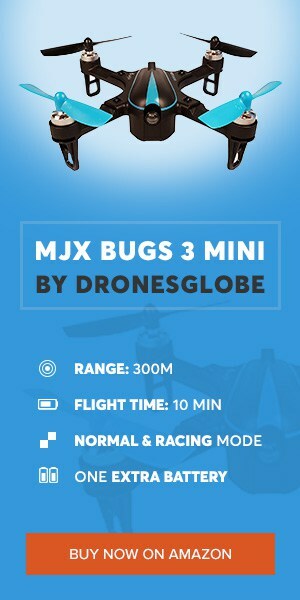 Besides that, Freeflight App provides you with a good chunk of features as well… but more on that down below! Features are always an important factor with every new drone so it’s only logical for us to see what does Bebop 2 Power have to offer! With an all-new flight assistance system Bebop 2 Power provides even more functionalities to advanced users. Beginners will also enjoy the benefits of smart flight modes such as Follow Me. Dronie enthusiasts will have their fair share of fun too with the implementation of Magic Dronies. 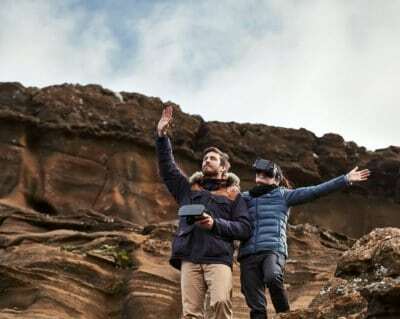 These features, among which are Orbit, Parabola, Tornado, and Boomerang, will use GPS and object recognition software to help you shoot awesome dronie videos and photos. This is all supported by another photography-oriented feature called Auto Shots which can fully autonomously capture spectacular aerial photos. There are several safety features incorporated into Parrot Bebop 2 Power that you should know about. Obviously, since this birdie features GPS+GLONASS satellite tracking technology as well as optical ground sensors, it comes as no surprise to see that it can precisely hover at designated height. However, there is also Return To Home function which is of crucial importance if something was to go wrong during your flight sessions. Last but not least – Geofence will allow you to set up a safe flight zone which will limit your drone’s movements to your desired range. Plus, flight data is always a nice addition… which means you’ll be thrilled to know that this birdie gives you info on its distance, height, battery level, speed and signal strength! Even though it would be more appropriate to compare Parrot Bebop 2 Power with DJI Mavic Pro, I’ve decided to give DJI Spark the honor since the price gap is much smaller. With that said, both of these models provide great value for money but it’s the details that matter… And as far as I can see, Parrot Bebop 2 Power could be the superior between the two. That’s primarily because of that massive airtime gap. DJI Spark can only fly around for 15 minutes while Parrot Bebop 2 Power doubles that without a sweat. Needless to say, 30 minutes of airtime is an amazing feat at this price point and one that Parrot should be extremely proud of. I’d say the B2 Power wins the title in terms of operating range as well. Especially considering DJI Spark users won’t stop complaining about below 500 meters range with the dedicated controller. On the other hand, Skycontroller 2 does wonders and can get all the way up to 2 kilometers with Parrot Bebop 2 Power. The features and camera are the definitions of a Steady Eddie. Both drones posses FHD-capable cameras with 2-axis and 3-axis gimbals. Obviously, image stabilization does a great deal of work for both these models. Same goes for the features which are among their most important aspects in the long run. The DJI products are more expensive and too costly to fix in case of minor crashes. They are also subject to regular "safety NFZ" firmware updateso that don'the work. In this case, I have a lot of problems updating my Phantom 2, 3, and 4 as well as the controller, the camera to the required latest firmware version. I never have had any problems updating firmware on my Parrot bebop 2 and on my Parrot Disco. I recognize that DJI is king when it comes to UAV technology, innovation, and video camera. However, Parrot has made great strides in improving their solid technical consumer products to meet their customers, especially in Europe. Because of that, I am considering buying one very soon.